Welcome to Courtland Alabama! The town of Courtland is located on the site of an Native American village. The town was incorporated in December of 1819 by the town's early settlers. These were wealthy settlers who came from Virginia, Tennessee, the Carolinas and Georgia. The town was named for having a federal courthouse. The park, in historic downtown, is very beautiful and peaceful place to spend the afternoon. The first Saturday in June the town hosts Picnic in the Park. Along with all the concessions and vendors they also host a children's parade. Later in the evening the is the Miss Cotton Pageant. It really takes you back to old hometown living. All the other days of the year you can enjoy the beautiful scenery while sitting in the gazebo or enjoy a nice walk with your family. This is the Courtland Presbyterian Church. The church was founded in 1821 as "The Church of Nazareth". 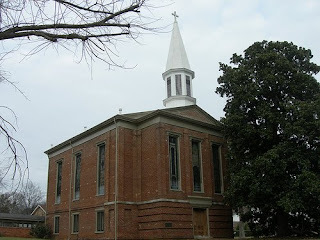 In 1833 it was renamed the Courtland Presbyterian Church it was first constructed in 1859 but due to the Civil War it was not completed until 1868. It was one of the first historical land markers in the area. I love going to a town that has a lot of historical homes! I just love looking at them. 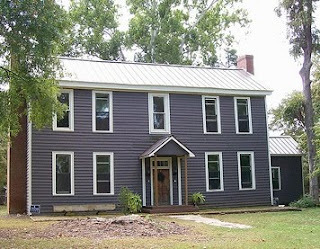 This is one of the oldest houses in Courtland it was used as a hospital during the Civil War. 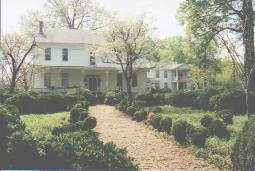 This link has several of the historical homes a long with a lot of the historical markers in the area. Courtland's school is part of the Lawrence County School system. R. A. Hubbard High School consists of grades Kindergarten - 12. Their colors are Orange and Black and they are the Chiefs! While visiting you may want to check out The Wheeler Plantation, Valley Landing Golf Course, The George C. Wallace Industrial Air Park and don't forget that the Tennessee River runs nearby so you can enjoy all of your water activities too. Lots to do in this little town! 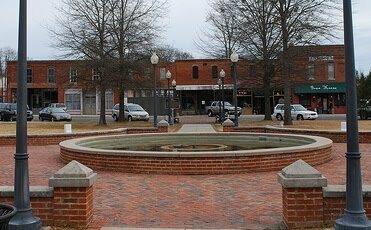 Courtland has worked hard to keep the town growing but also to stay true to it's history. They take pride in preserving all of their historical sites. To learn more about Courtland please visit Welcome to Courtland Alabama Pride of our past . . .Looking forward to the future! Wow what a gorgeous town!